An intensive anti-aging moisturizer that harnesses the power of stem cells from the Sea Fennel plant. 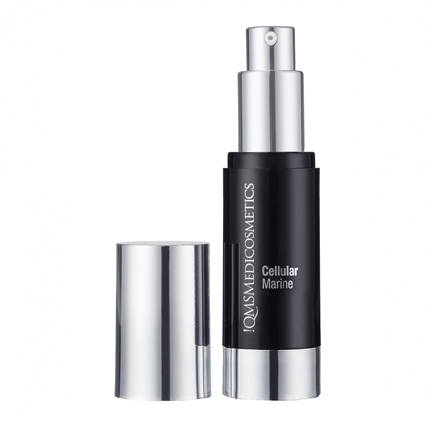 Cellular Marine's advanced formulation is designed to enhance the stimulation of new skin cells and improve the cell metabolism to leave skin radiant. With every application, the life span of the skin's stem cells will be significantly extended and skin aging decelerated. Based on a revolutionary technology derived from Sea Fennel Stem Cells, Cellular Marine supports the body's own stem cells to prolong its youthful tone and appearance. Inspired by the latest stem cell research results, Cellular Marine contains stem cells from the plant tissue of the Sea Fennel cultivated in Brittany. The herbal stem cells are extracted in a patented and highly complex process. Stem cells are considered the fountain of youthful skin and help to prolong the skin's ability to regenerate itself. This ability diminishes with progressing age and needs to be preserved. Sea Fennel stem cells provide the most effective protection. The robust coastline plant survives by protecting itself from UV light and moisture loss. Its stem cells contain all essential nutrients and necessary ingredients to protect the skin's stem cells. Provides exceptionally effective rejuvenation to improve health and appearance of the skin. Gently massage on face, neck and décolleté every morning and evening after cleansing.